The announcement comes after weeks of speculation that another Texan — Energy Secretary Rick Perry — might land the post. President Donald Trump has tapped another Texan for his Cabinet — this time, via tweet. 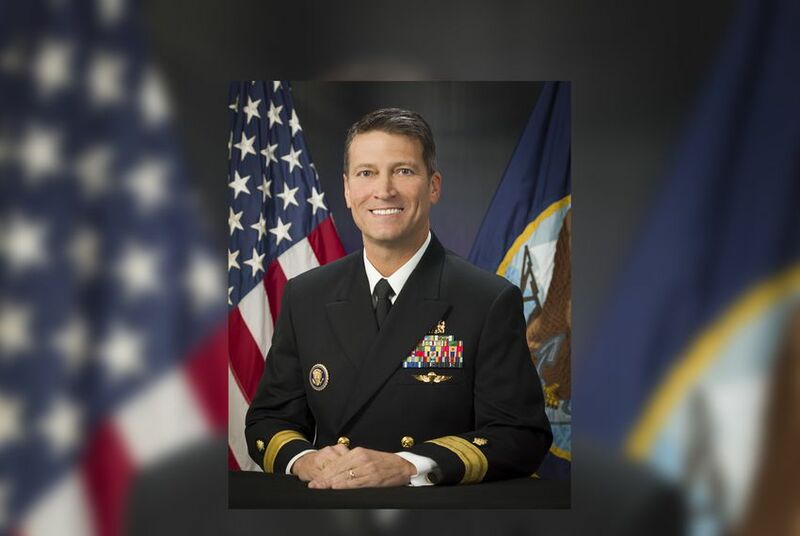 Trump said Wednesday afternoon that Ronny Jackson, a rear admiral in the U.S. Navy who has served as a White House physician for more than a decade, is his new pick to lead the U.S. Department of Veterans Affairs. If confirmed by the U.S. Senate, he would replace David Shulkin, who has been under fire for taking a taxpayer-funded trip to Europe last year. Jackson is a native of Levelland, near Lubbock. He is a 1991 graduate of Texas A&M University and a 1995 graduate of the University of Texas Medical Branch. He has served as a White House physician during the past three administrations. Trump’s nod to Jackson comes after weeks of speculation that a different Texan — current U.S. Secretary of Energy Rick Perry — would take Shulkin’s place at the agency. Perry, an Air Force veteran, has long expressed interest in veterans’ causes. And the announcement follows a host of other shakeups in the president’s inner circle, including the news earlier this month — also disseminated via Twitter — that Texan Rex Tillerson, former CEO of ExxonMobil, was out as secretary of state. Disclosure: Texas A&M University, ExxonMobil and the University of Texas Medical Branch have been financial supporters of The Texas Tribune, a nonprofit, nonpartisan news organization that is funded in part by donations from members, foundations and corporate sponsors. Financial supporters play no role in the Tribune's journalism. Find a complete list of them here.